2019/04/23 Youre a rising star in 2019, Gemini, but it will keep constant effort to avoid slipping back down. Are you up for this? Of course you are!Your attention is zeroed in on making progress, getting and holding on to those things you love most, and on not being rushed into making decisions. This year, you will ask all the right questions and refuse to proceed without solid answers and information.The Mercury retrograde periods in April and then in April may be your most accomplished and solid times. April is especially potent. 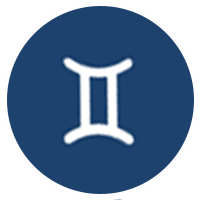 With Mercury in Virgo, you can easily self-correct and nudge situations and relationships to where you want them.Home life should bring much satisfaction, and possibly some karmic insights, particularly in April. Family mysteries may be solved, or resolved.Emotional ties and romance are empowered in April, but it may be April when you are the most intense, powerful, and effective. Mars and Saturn are both on your side as the year ends. You can do great things this year, Gemini!